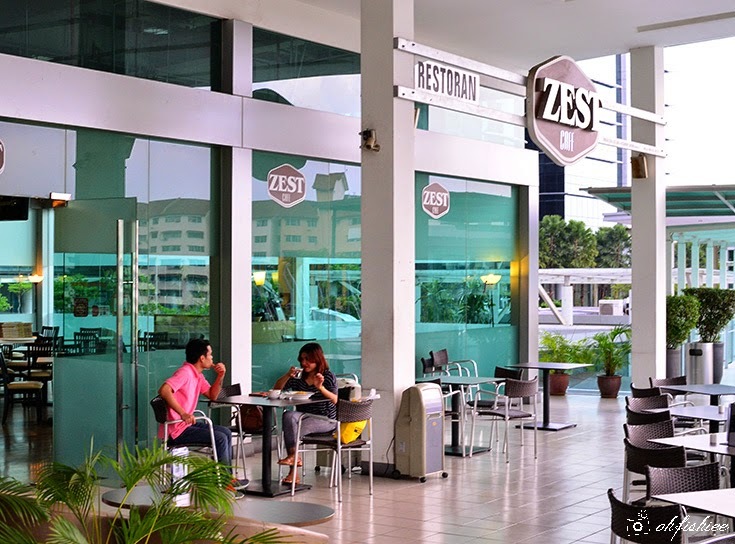 Living up to its tagline of "Food for the Body and Food for the Soul" since 2011, Zest Cafe has been a favourite spot for healthy goers who believe in balanced diet that incorporates real food with low salt, low sugar and no MSG. Its healthy and tasty Mediterranean-inspired cuisine has proven to us that going healthy can be a delicious change of lifestyle when you dine at Zest Cafe. Inside the outlet, you will enjoy the cool comforts of the modern interior decorated in warm tones of brown. This brightly-lit space is an ideal venue for home parties and corporate events in which you can opt for either buffet or ala carte dishes. 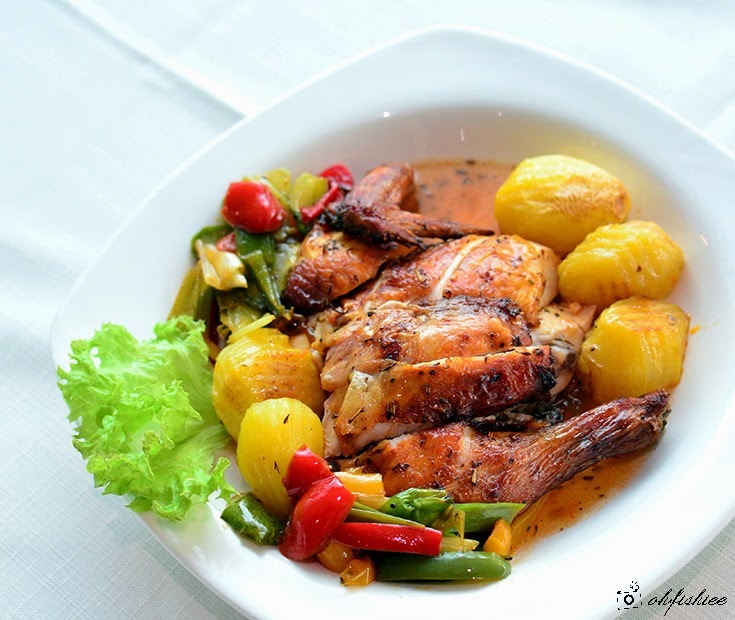 If location is your concern, Zest also offers delivery to your doorstep and provides catering services. Offering all day dining, Zest has its own repertoire of ala carte offerings which range from the simple heartwarming soups and salad to local favourites and well-loved Western dishes like salmon and roasted chicken. 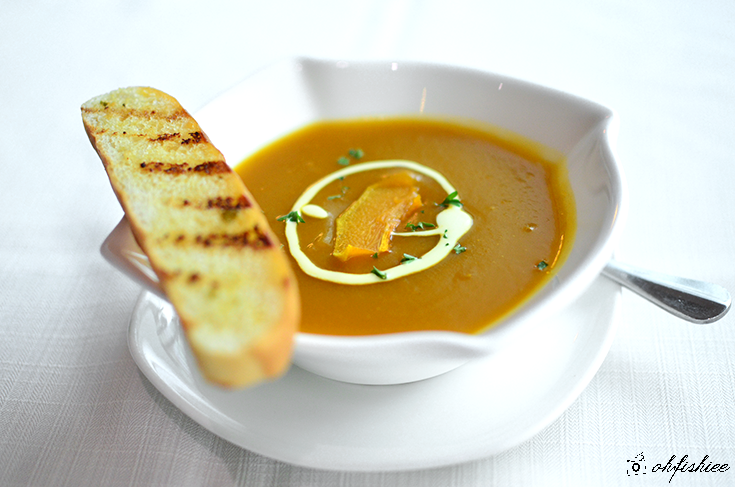 Zest has been consistent with its food quality over the years, my pumpkin soup tastes exactly the same like the one I had 3 years ago! Feel free to read my previous review about Zest HERE. Emphasizing on delivering real comfort food, Zest has not compromised with its ingredients despite of the increasing cost. The chef insists on blending a whole oven-roasted pumpkin without adding any (artificial) cream, in order to achieve the creamy texture. As a result, the broth is extra thick, having almost the same consistency as pumpkin puree. Definitely a must try item. 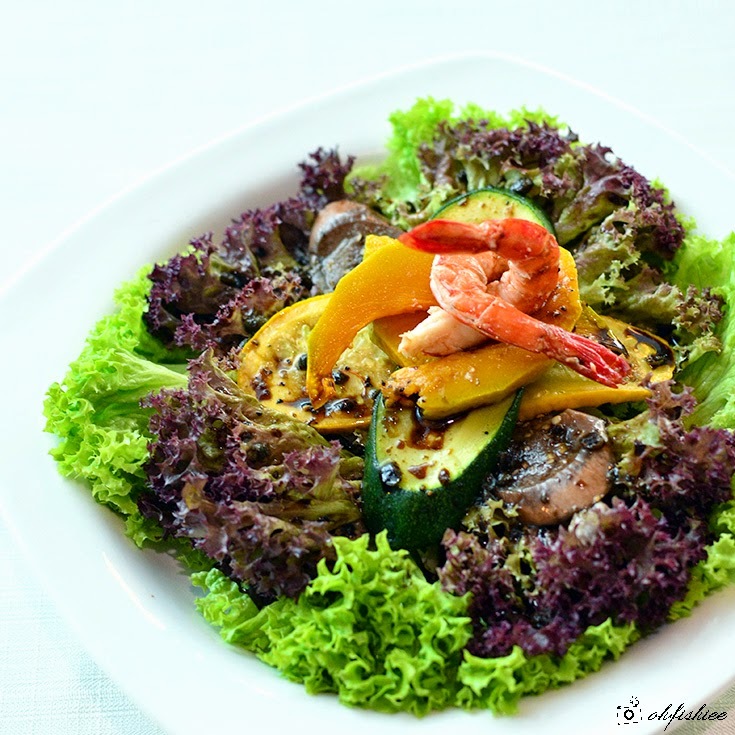 Among the crowd's favourite dishes, Zest's signature salad tops the list because it is packed with mouth-watering fresh ingredients that maximize nutrients and enhance natural flavours of food. 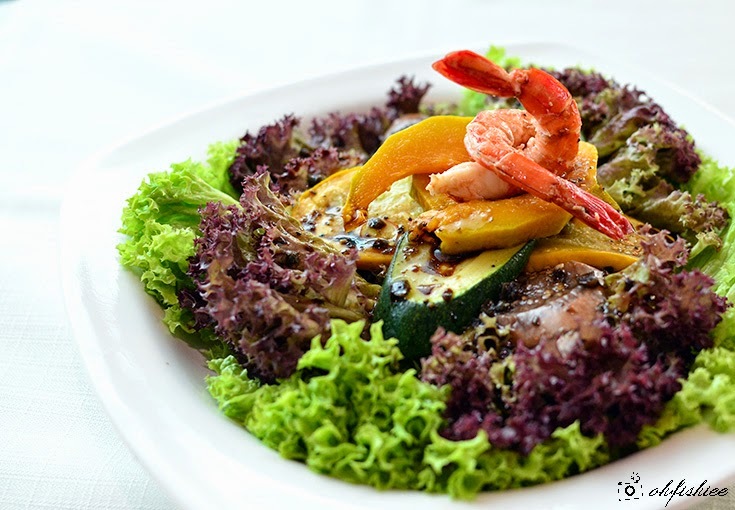 A dash of balsamic dressing onto the colorful mix of grilled zucchini, aubergine, pumpkin and pan-grilled prawns totally gives an instant lift of taste that wows most of us. Simple yet comforting! Although you may be fanatically devoted to meat, healthy eating is possible if you opt for lean portion cooked using healthy recipes, just like this moist rosemary-infused roast chicken which tastes as good as it smells. The rosemary marinade is beautifully done, lending the bird a sweet taste that blends well with the garlic, butter and parsley. Moreover, the boiled potatoes are very well-infused with the herbs flavour too. 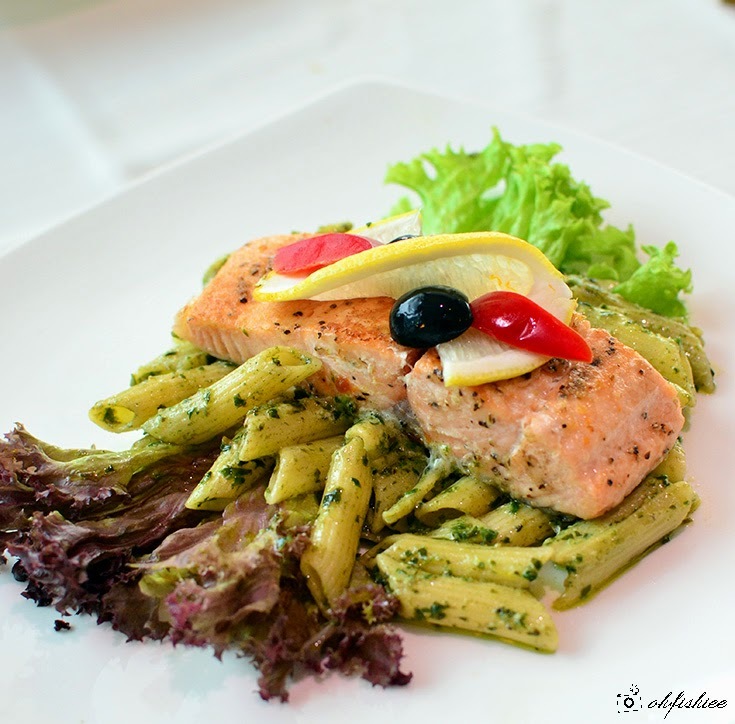 Since most of the sauces and condiments are made from scratch in Zest Cafe, one should try the penne in homemade pesto sauce that allows one to skip the extra calorie of cream because the pesto is purely blended from basil, garlic and olive oil. 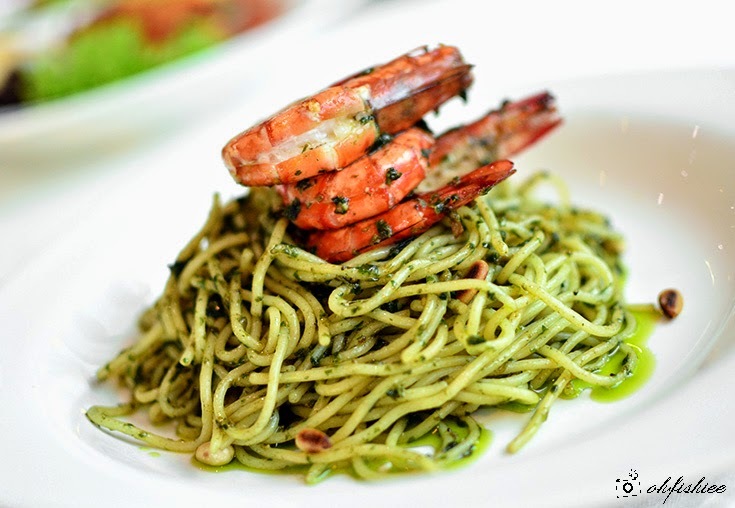 Different types of pasta noodles, sauces and seafood served here produce endless combinations of hearty meal according to your preference. 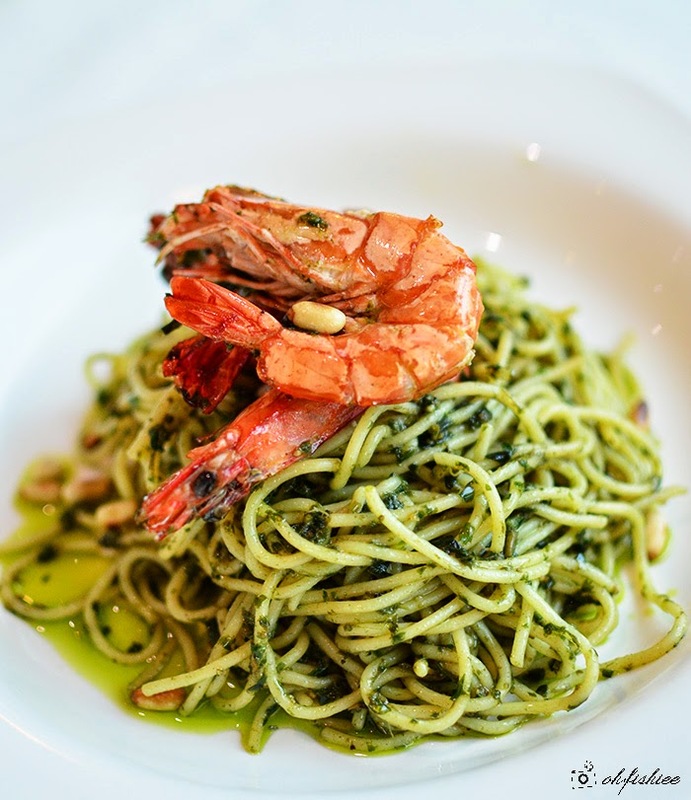 Be it a thick slab of salmon or fresh succulent prawns, the seafood pasta is portioned generously and ideal for communal sharing. Feel free to soak up the olive oil enriched sauce with an extra order of bread! As for the lasagna, I am surprised that Zest manages to serve healthier lasagna that tastes even better than the original classic Italian dish. 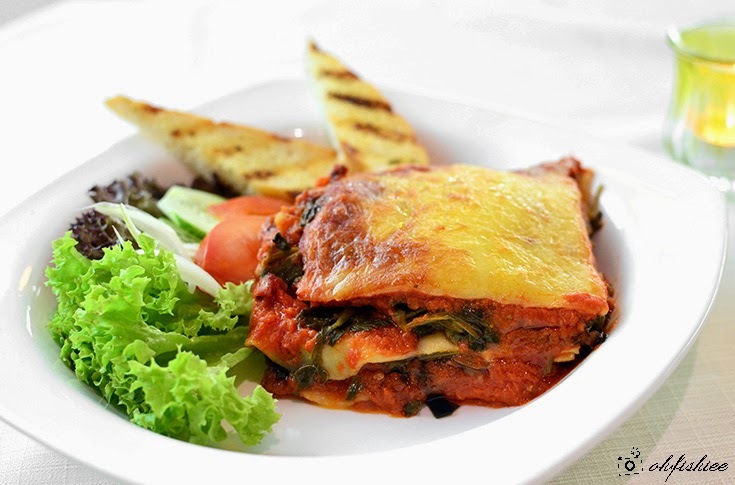 Layered with grilled aubergine, spinach and blended tomato between the pasta sheets, this heartwarming lasagna is fuss-free, and suits even the most dedicated vegetarian eaters! 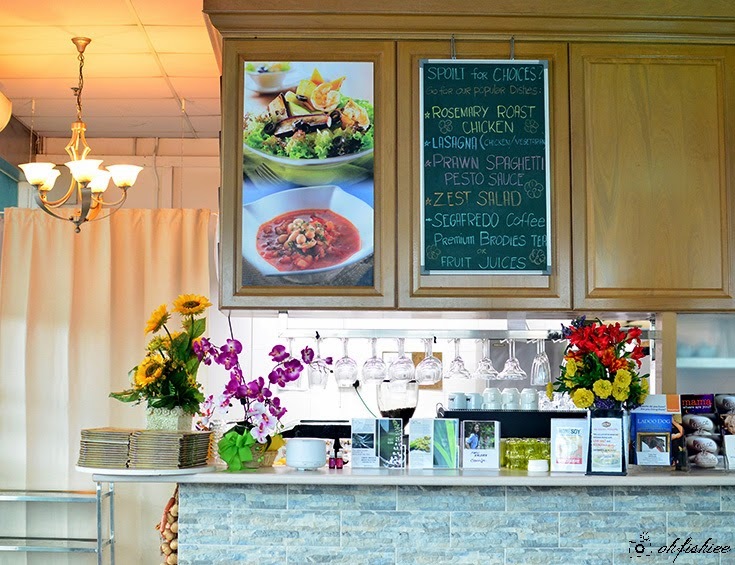 All in all, Zest Cafe is the place to go for balanced nutrition through delicious food. 1. I appreciate Zest's healthy food philosophy and strong emphasis on quality for every ingredient used. From sauces to main courses, everything is prepared from scratch and yet the quality has been so good over the years! 3. 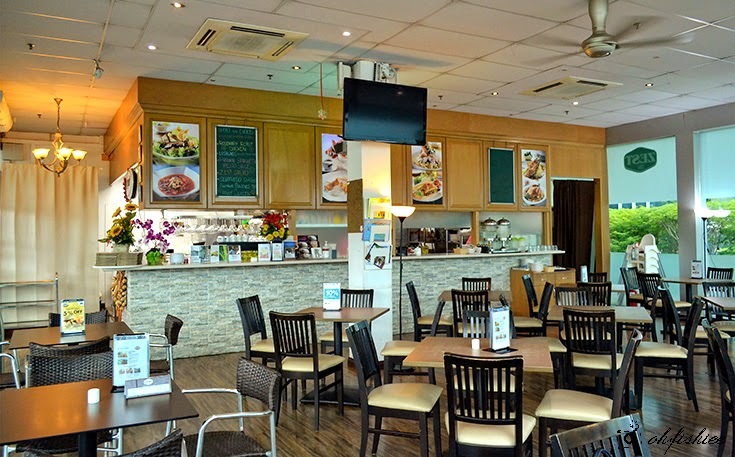 A pocket-friendly place that one can enjoy healthy and soul-satisfying food within RM20 to RM25 per pax. This is a good place to eat, to help slimming down. Thanks for the info. The food looks really healthy. I like the ambience as well. Spacious and airy. Great to while away the time here. Yummy food... Great restaurant.. Shall go n try it out! Nice to see them going strong. The food are also not too bad. look very healthy with all the food serving! love the pumpkin soup and ceaser salad! I think i like the Aubergine Spinach Lasagna. the cafe environment looks relaxing.